Steel is forged in fire. Gin Draven is a soldier. THE soldier. Sworn to protect the nine planets in the galaxy humans made their home in ninety thousand years ago. He lives for winning the war. He loved a woman once, and she cost him his sanity, his eye, and his heart. He’d taken every moment of their time together and buried it deep. Until the day she strolled back into his life. Maeve was a woman. THE woman. Back to make Gin Draven her husband. She wants the same thing he does. The end to the war that plagues them all. She knows secrets that can help him win the war, and secrets that could destroy them both. War brought them together, and war tore them apart. The strongest loves are Forged in Fire. 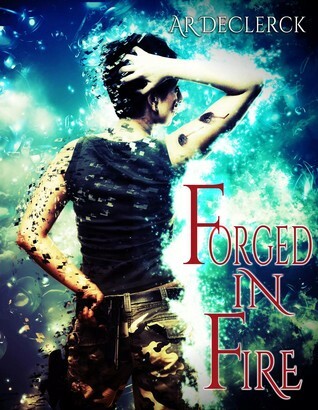 Forged in Fire is the story of Gin Draven, the Sword Guardian of Dinara, and Maeve, who marries him very early in the book. Though they have previously loved one another, it is abundantly clear from the outset that there isn’t much love lost. Not least as Gin believed Maeve betrayed him some years previously, that she was a traitor, and that she was dead. The simple background is that Dinara, a world among nine in a system, is at war with Boderia – another world in the same system. The Dinarans receive support from Maeve’s father, and he requests a marriage with the Sword Guardian for one of his daughters in return for continued support in the war. And when Gin Draven – who at first glance (for the reader) is impersonable, grumpy and disinclined to be nice to a new wife – discovers who his surprise new wife is to be, his world heads for a spin. It isn’t long before the Dinaran Swords are engaged in a battle with Boderians, except Maeve discovers where the Boderians are attacking, and reveals that the pair have a daughter. Gin may not be on best terms with Maeve, but he isn’t letting a possible daughter of his get caught by the Boderians. What I really enjoy about DeClerck’s work is that it is generally unpredictable, and inventive to boot. There were several developments I did not see coming, and as usual I keep thinking I must be nearing the end of the book (despite NOT being anywhere near the end) and then a new twist arrives that takes the story further and deeper. While Gin Draven was initially NOT attractive, through the story he developed into a very protective person who would do everything within his power to protect those he loves. But Maeve holds her agency just as well, and is an equal partner with Gin in all they do. Each has their strengths and weaknesses, and these were well covered in the story – not laboriously, but acknowledged and displayed is what I mean. With some polish, though, this book could be a real diamond. It was regrettable that there were some editorial issues here and there – but not so bad as to detract from the story itself. I loved this book. It’s been a while since I’ve read steampunk, and this book drew me right back into the tech. And quite took my breath away, truth be told. 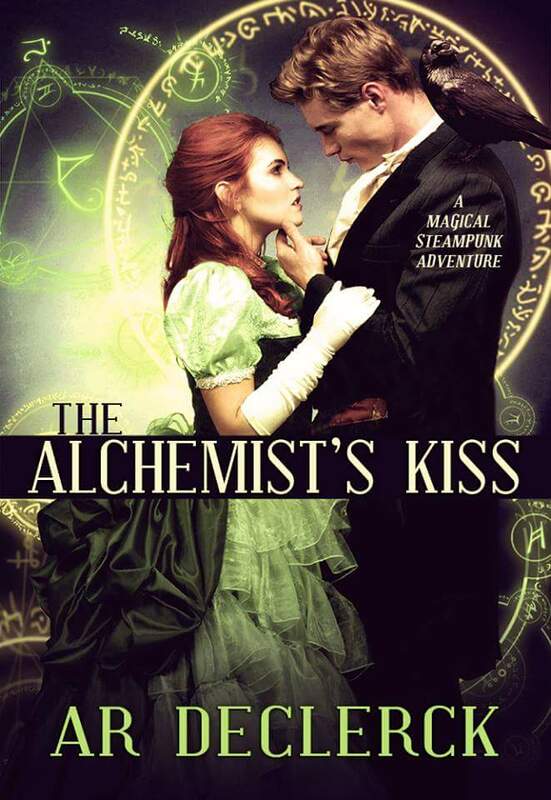 A simple premise at first glance, The Alchemist’s Kiss carries far more depth than I expected. Despite knowing I was only 25, 50, 75 per cent through the book, I kept thinking “surely this is the endgame?”… and then being delighted to find yet another twist to the story. Icarus Kane and Cora Jenkins make for two fabulous main characters, and an excellent cast of supporting characters surround them. To me, this is a tale of romance, intermingled with the age-old fight between good and evil, as well as an expert analysis of technological progress. Each of these elements is a well rounded thread wending through the tale, and the conclusions of each are decisive. And I really loved (sorry, I can’t find a better word, really) the way in which love was a key player in the outcome of events through the book.